The long wait is almost over, at the end of the month Harmony of the Seas will enter into service and assume her rightful title of the world’s largest cruise ship. The impressive Oasis Class cruise ship from Royal Caribbean looks set to turn heads all over the planet as she takes to the seas – boasting an incomparable selection of amenities and a seemingly endless wealth of features. Whilst us cruise nerds at Cruise1st have been getting a little hot under the collar at the thought of Harmony of the Seas taking to the waters for some time now, the civilian population might have only given her a passing thought. 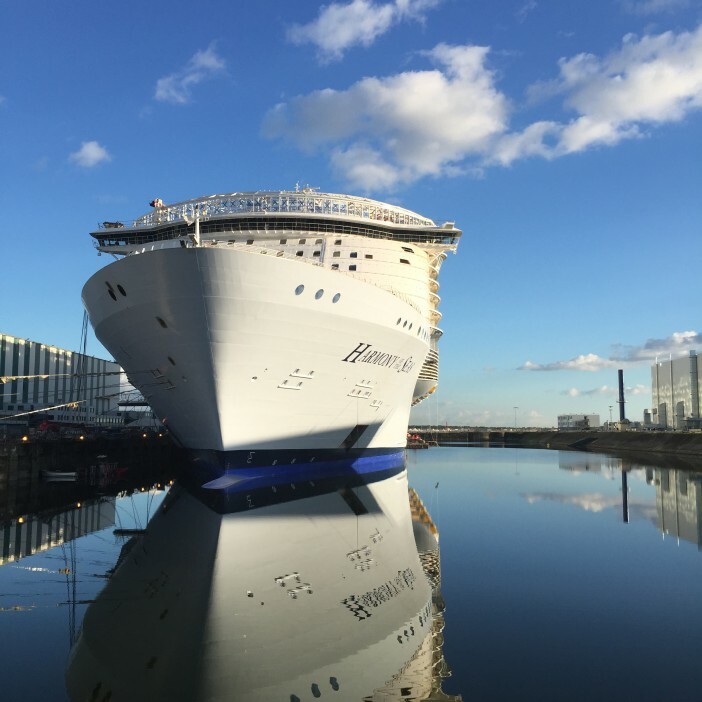 If you are firmly a part of the latter group, here is our attempt to get you equally excited about the new big lassie of the cruise industry. We have compiled just 12 of our strongest arguments why you should holiday aboard the Harmony of the Seas – including some of the key elements which will make her the most impressive ship in operation. And we’ve put them in video format so you don’t even have to scroll, all you have to do is sit back, watch and find yourself drawn in by Harmony of the Seas’ enigmatic pull. You can book a great cruise deal aboard the Harmony of the Seas with Cruise1st – receiving the very best price on an unforgettable holiday on this record-breaking ship. For a full list of the itineraries offered by Royal Caribbean aboard the Harmony of the Seas, click here to visit our dedicated page. Alternatively, contact our friendly sales team on 0808 274 6777 and we’ll let you in on all the latest and greatest deals available for cruises aboard the Harmony of the Seas.